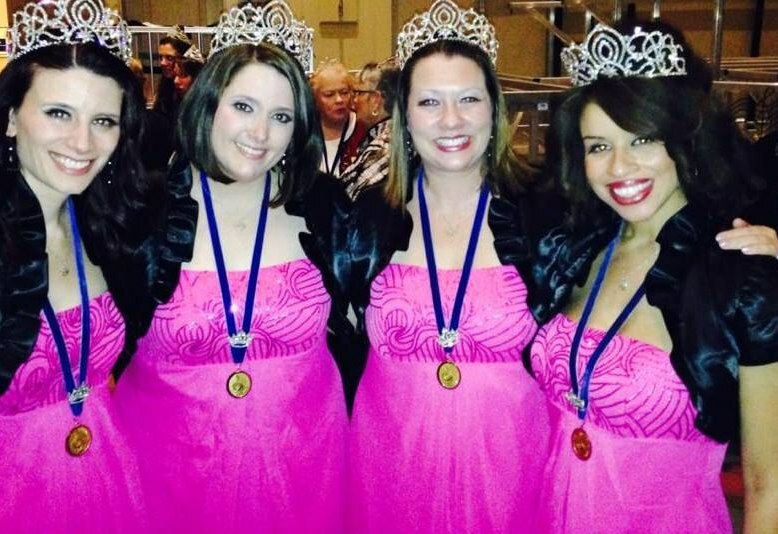 Attending Harmony Inc.’s International Contest & Convention in Windsor as outgoing Harmony Queens was something we had looked forward to all year. There were so many special moments that it’s difficult to put into words just how grateful we are. But given that we’re about to celebrate (American) Thanksgiving, we thought it would be appropriate to count our blessings. Our families are a blessing that top the list. We trekked over the border with Epic babies ranging in age from 3 weeks old to 10 years old, and were accompanied by husbands, parents, and sisters. We’d like to thank all of Harmony Inc. for its warm welcome of our kiddos and the flexibility and support as well. Shana had to sometimes run off to care for her newborn son, but you all were so accommodating and supportive about our juggling act. Speaking of the juggling act, a big thanks to Richard Lewellen for jumping in on Sing with the Queens when Shana needed to step out for a few minutes to feed the baby. And to Larry Dodge for adding a special bit of humor and fun to the evening! 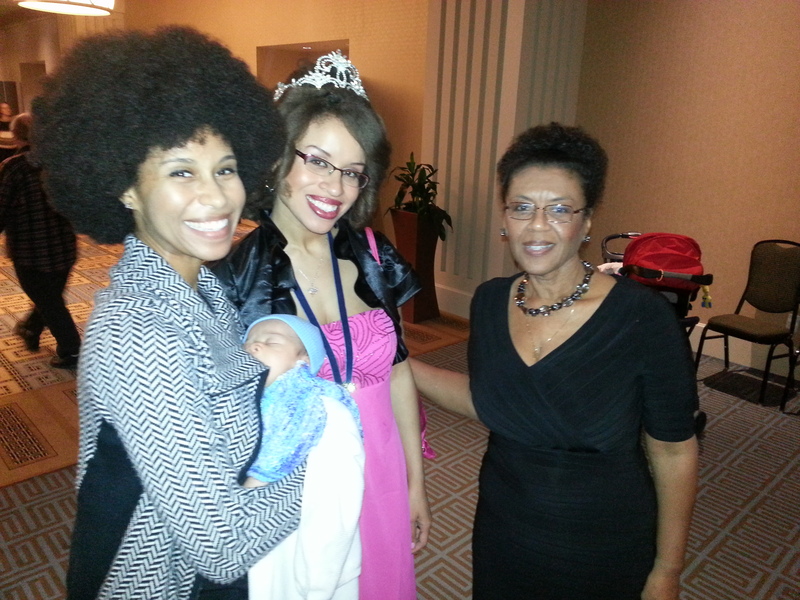 We are blessed to have mommies who love us (even though we are grown mommies ourselves!). Allyn who gave up watching much of the contest, which she loves as a new barbershopper, to care for Kenshin. Denise for staying in Virginia to care for Ainsley and Jack. Judy for being Epic’s biggest fan and for supporting our somewhat out-of-control jewelery habit. Debbie for great favors, great coordination, and for jumping in on a last-minute costume emergency. And Karen because she’s awesome. And Kate because she’s awesome. And, well, every mom is awesome. Especially all of ours. XOXO. 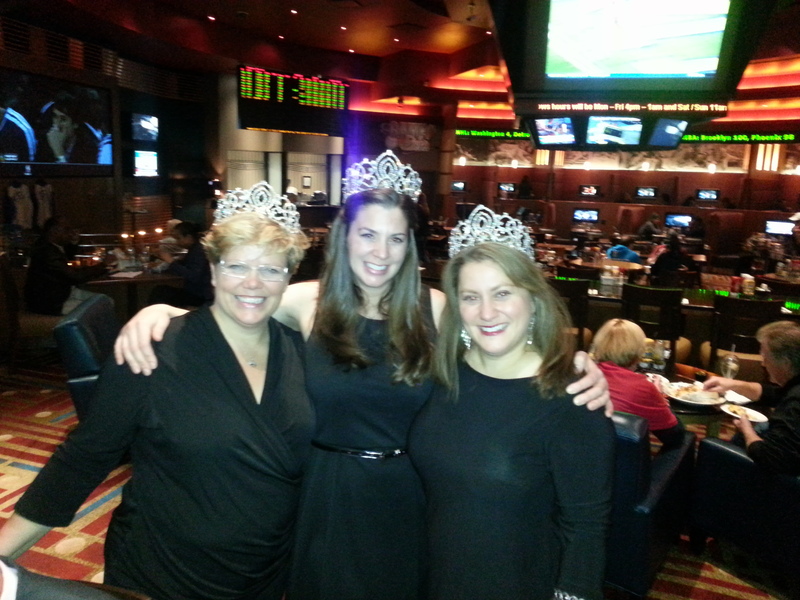 We are blessed that the women who volunteer for this organization are so committed to such a professional event. 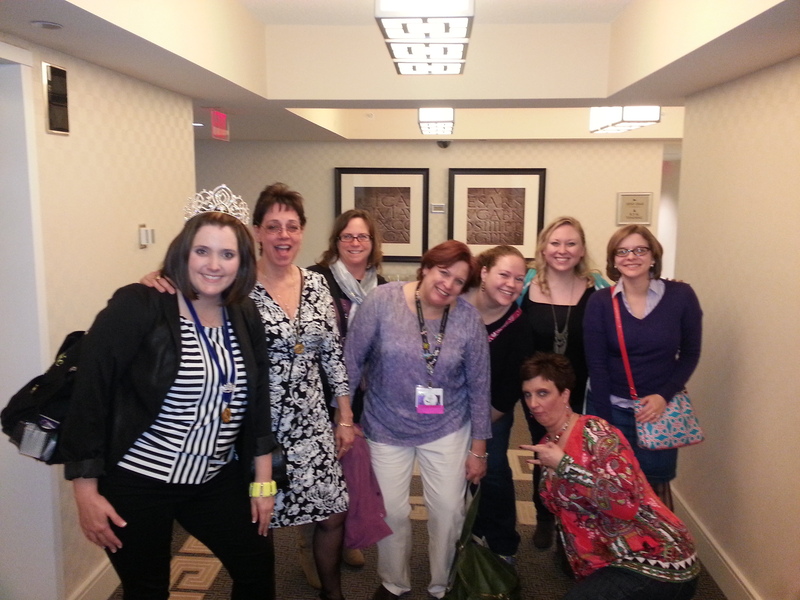 You IC&C ladies are a class act. You paved the foundation for such a special week for us. Barbara-Ann MacIntosh. You’ve outdone yourself. We feel loved. We feel beautiful. We feel so proud to represent Harmony, Inc.
We laughed a LOT on this trip. 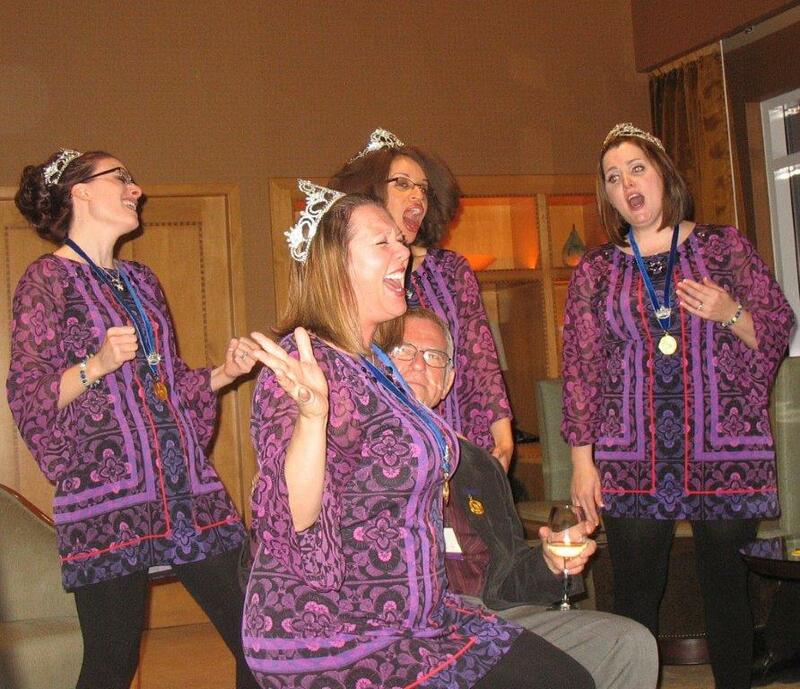 For those of you who haven’t experienced a “reigning year” as Harmony Queens, it’s pretty intense. A lot of back-to-back schedule obligations, a lot of singing, a lot of visiting with friends–not a lot of sleep, not a lot of food, and not a lot of time to change! But in all of this “stress” (welcomed as it may be), Epic stayed happy and supportive and we laughed a LOT. We just about had Kris peeing her pants a few times. Anne knows how to capture a room (sitting on David Wright’s lap will certainly grab some attention… don’t worry, it was in a song!) and also clear out a room (thank God we weren’t locked in that warm-up room). We we are blessed to have each other as friends and we are blessed that we laugh a lot, even in intense situations. We are blessed with traditions in this organization. 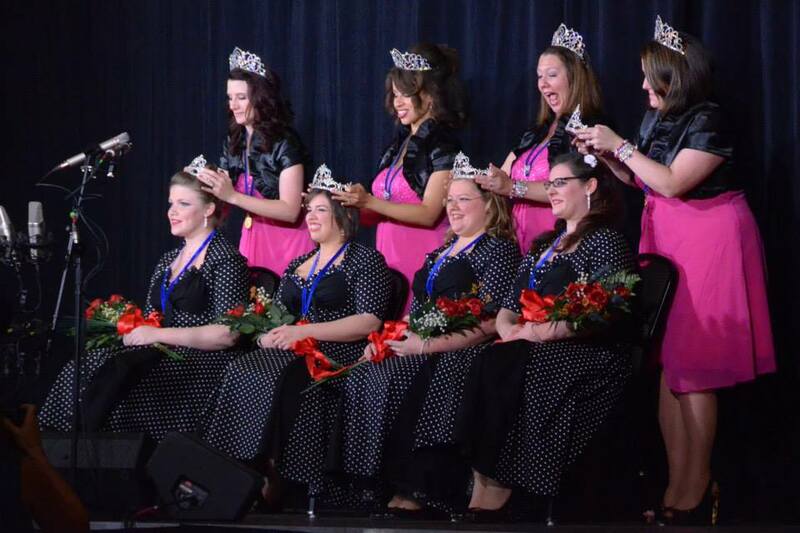 We got to experience a lot of FIRSTS in Windsor on the queenly front, but none is more special than the crowning ceremony. Sure, it was exciting to get our sparkly new crowns, but one of our most intense experiences of the contest is when we stumbled backstage right after. We hugged. We cried. We did it! 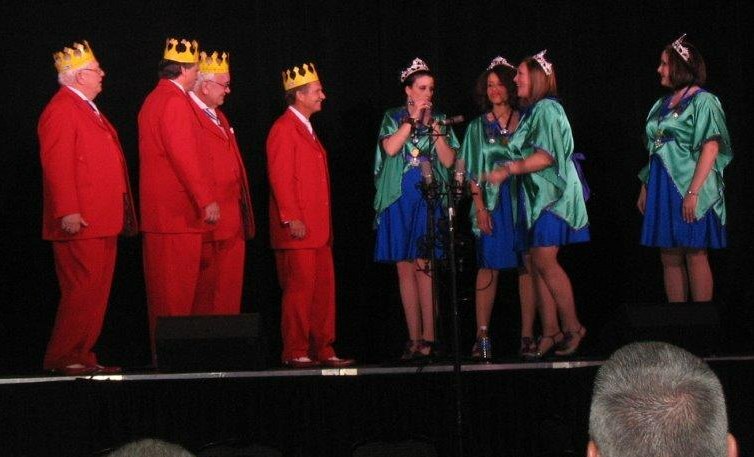 We were about to crown the new Harmony Queens, and like so many quartets that have walked this path before, we were overwhelmed with the deep-seeded tradition that characterized those moments. We are blessed to have been able to make a recording to share with you. There were several people who walked up to us and said, “I usually don’t buy CDs, but I’m buying yours because I love this song….” Wow. Stunning. We’re so grateful for that feedback. Thank you all for your support. This contest was a first-timer experience for so many of our Bella Nova Babes! We were SO PROUD to have you there with us. We have such a bright future ahead of us and it means a lot that so many of you opted to come to Windsor to get the full Harmony Inc. experience. We told you it would be awesome, didn’t we?? This organization is a blessing that deserves about 10 or 20 bullet points. One thing that we’ll share that sums it up is a comment we heard from one of the Bella Novas when the contest was done. She is a trained musician with a classical background and she couldn’t believe–she was simply stunned–how supportive an organization Harmony Inc. is. Choruses sincerely cheering on other choruses, quartets congratulating other quartets, welcoming youth singers with open arms and supporting their musical development–she walked away knowing that Harmony Inc. is an organization worth her time and talents for years and years to come. This is awesome at another level to us! The Minor Chords. Oh, the Minor Chords. You beautiful young ladies brought us to tears. We are so proud of you. A highlight of our week was the Minor Chords’ performance. We simply loved it. The men and women who give of their time and talents to serve as judges. We especially love them because they gave us no numbers in Windsor. 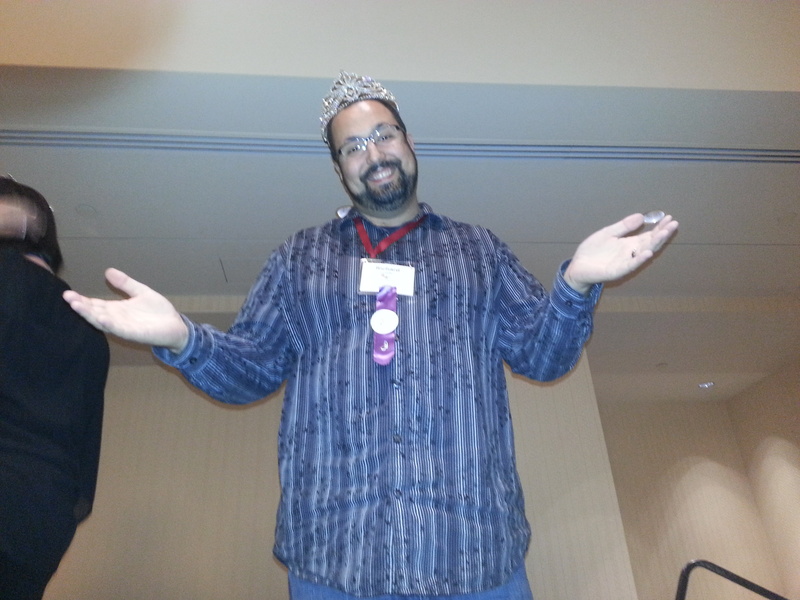 With over-tired baby brains, or maybe our crowns were a bit too tight (? ), we definitely did not need numbers in Windsor! But we are grateful for their time, expertise, and fun memories made in the Presidential Suite (“no, David Wright, no!”). Foreign Exchange. We love you guys. Thank you for your guidance this year. And we’re so glad we found those weeeeee hours of the morning to hang out and bond. We love that we’re “old queens” with you now–let’s make sure we do it at every IC&C. We’re grateful for flats. We wore a lot of 4-inch heels. And we love them. But we’re also blessed to have flats. Ahhhh…. We are super, super blessed to have the amazing talents of our new Queens, Spot On, in our lives. What an amazing outcome. We know they will have a fantastic year and represent HI so well. We are proud to call them sisters. There was such talent in the quartet contest this year and we enjoyed every last second of those front-row seats! We also have to mention, of course, the chorus contest. This was where interacting with the newbies in Bella Nova was the most satisfying. They loved your performances (as did we!) and they’re so inspired to work hard to be as awesome as y’all are. 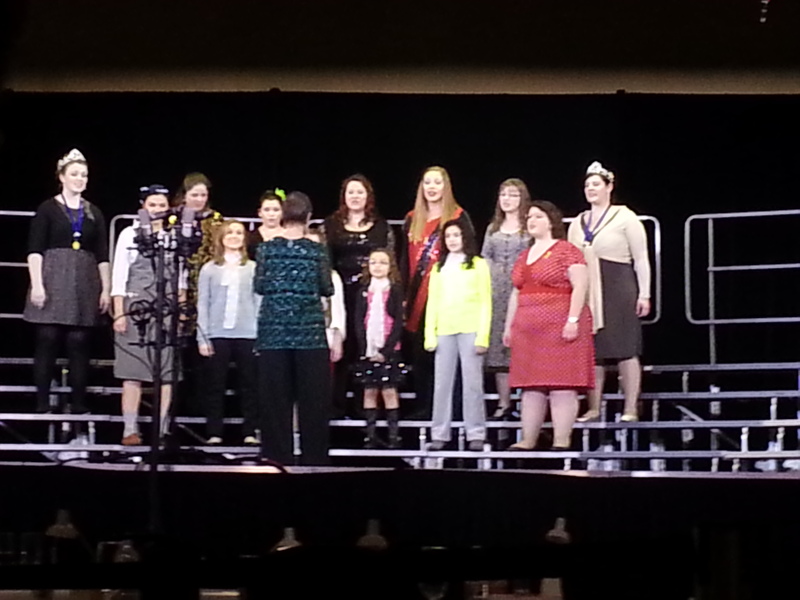 A huge shout-out to the gorgeous gals of Village Vocal Chords. You ladies are so classy, and we LOVED the Lone Ranger tune to wrap up a fantastic week!!! We are blessed that we did not meet ANY emergency personnel, doctors, nurses, hospital admit personnel, etc. in Windsor, Ontario, Canada. We’re sure they’re lovely. We just didn’t need to meet them. (In case you’re super new, here’s our tragic tale from last year in Orlando). We could go on and on and on, but let’s just leave it at a nice, even #20 by saying we’re just blessed. Period. Many of you know that Epic huddles up for a quick prayer each and every time we hit the stage. Our beautiful Shana brings the right words to our hearts every single time. These prayers were tearful almost every time in Windsor because we just can’t FATHOM sometimes how we were so blessed to have this life… with each other, with all of you. If you didn’t see the cool thank you video that Sara put together for us, please take a few minutes and check it out. It goes into some of our most important acknowledgments and it was played just moments before we received our permanent tiaras. So many people have asked what’s next for Epic. Our simple answer is anything and EVERYTHING. We have some exciting shows on the books for 2014, and we plan to stay super active in our local musical community in the greater Washington, D.C., region. We will grow Bella Nova Chorus, which was a dream of ours from early in the quartet’s history and we will keep making music (and raising a ruckus) together for years and years and years, provided we are blessed enough to do so. Like the video says, we’re a family. A family with a lot of love, shared experiences and hopes and dreams for the future. We love you all. 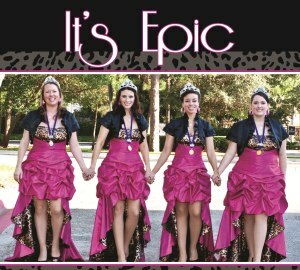 We’re so happy you became more a part of the Epic family in Windsor. You mean so much to us. Thank you, beautiful Harmony Inc. sisters. Windsor was wonderful, and Epic made it memorable on so many levels. Thank you for sharing from your hearts; yours is genuinely a “class act”. How fun it will be to see what you come up with next! The ladies of Atlanta Harmony Celebration! look forward to seeing you again on stage with us in March 2014! Happy holidays to you all!!! Met all of you at Area 2 AC&C and was so very happy to see you at IC&C, my first International. You amazed me when first heard you sing and I’m still a big fan of Epic. You are all wonderful ladies, warmed my heart when I saw all you families involved; in my opinion, this is what Harmony is all about, family, singing, friendship and you ladies have all that, plus a great quartet! Keep on singing Epic, love your sound, love your songs, love your quartet!!! See you at the next AC&C! Listening to Regina Spektor, I’m thinking how good would some of her songs sound if done by the Epic ladies.